Duct Cleaning - AMHAC, Corp.
Indoor air quality is important for everyone, especially for those who suffer from asthma, allergies or other health issues. 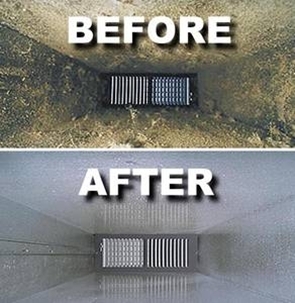 After years of operation, the ductwork in your home or business accumulates dust and debris. If this dirt is allowed to collect, it may contribute to additional airborne contaminants, resulting in an unhealthy environment, as well as inefficiencies in your heating or air conditioning system. The construction process also creates immense amounts of dirt, dust and debris in the air (most commonly termed “indoor air pollution”), and for a home under construction, one of the first things installed is the HVAC system. Unfortunately, people are unaware that the air in their home is recycled back through the system on average of 9-12 times per day. Due to this, proper preventative maintenance must begin immediately after the HVAC system is installed. If preventative maintenance does not begin promptly, the construction dirt will contaminate the duct work. Consider these statistics: the EPA ranks indoor air pollution among the top 5 health risks; 97% of homes have indoor air quality issues. Dirty coils and ducts use as much as 30% more energy than clean onset, while energy efficiency technologies can reduce energy consumption by 25% or more. 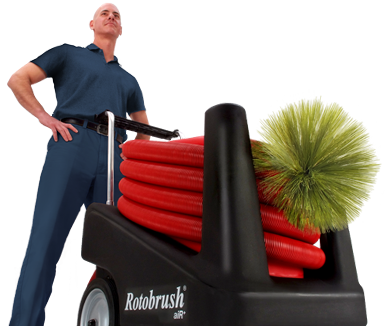 AMHAC provides a duct cleaning service that can safeguard your health by eliminating potential causes of allergies and respiratory problems while also keeping your system at peak performance.